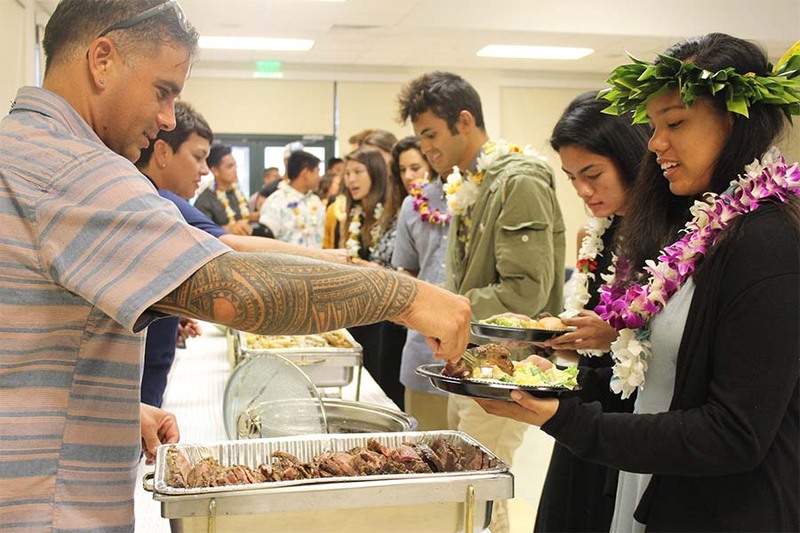 Junior Ashley Peralta grabs some dinner served by parent volunteers and staff at the first KS Maui Athletic Banquet at Keʻeaumokupāpaʻiaheahe dining hall May 17. 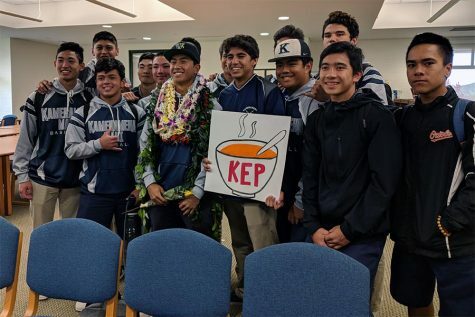 Varsity student-athletes from Kamehameha Schools Maui were recognized for their outstanding leadership and skills May 17 at the Keʻeaumokupāpaʻiaheahe dining hall. An athlete from each varsity girls and boys team of all sports at Kamehameha Schools Maui were recommended by their coaches for recognition of their impressive skills, leadership, and teamwork. 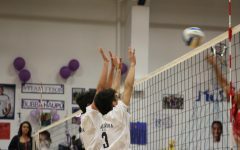 The banquet was made up of student-athletes and their supportive family members, along with Athletic Director Jon Viela and other athletic faculty. 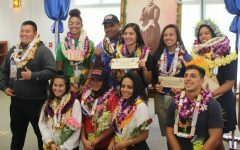 “Keali’i Pauahi has provided for us…tremendous education for our student-athletes and also has given us a facility that is state of the art,” Coach Viela said. It is the first year for Kamehameha Schools Maui to hold an athletics banquet for outstanding student-athletes and their coaches. Kamehameha Schools Maui has 23 sports, with most teams sending participants to the Hawaiʻi High School Athletic Association state tournaments. 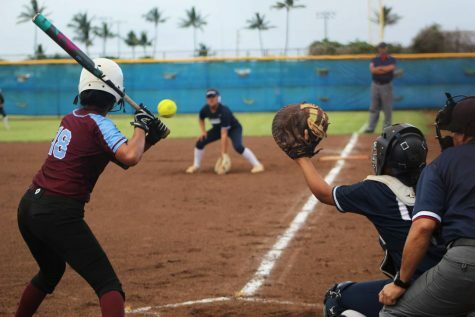 The number of teams increased because the athletics department also added four other sports this year: surfing, junior varsity girls basketball, junior varsity football, and junior varsity softball. “Overall, [KSM] had a pretty successful year with three Maui Interscholastic League championship teams and general school awards that we’ve won, too,” Coach Viela said. 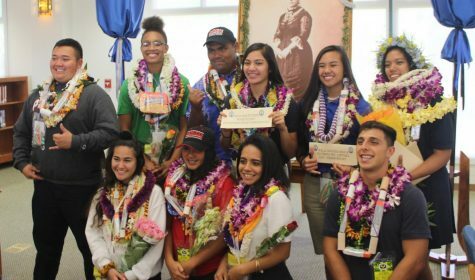 To top it all off, Coach Viela announced that Kamehameha Schools Maui has won the 2016-2017 Hawaiʻi Medical Service Association Kaimana Award large school award in the Maui Interscholastic League. 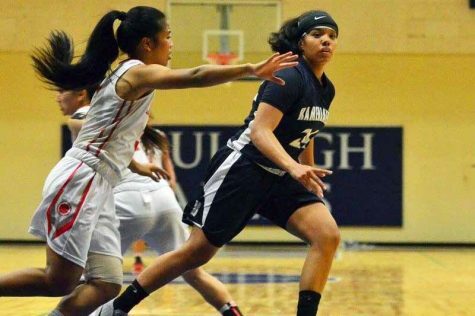 The last time KS Maui won was in the 2014-2015 school year. 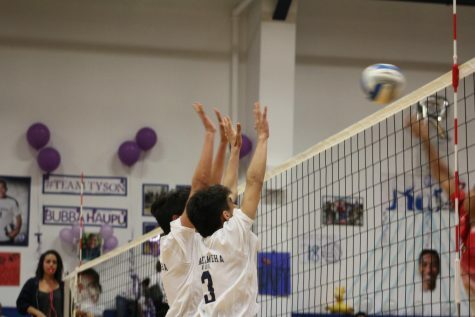 The HMSA awards schools with athletic programs that demonstrate all-around excellence. 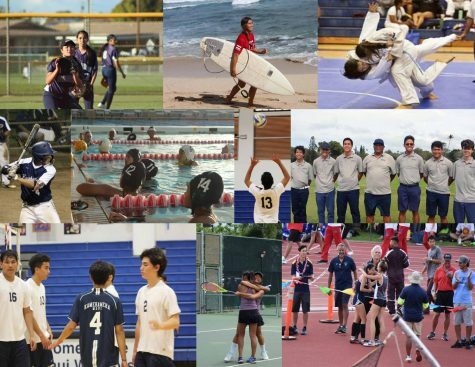 There are five categories that determine the qualification for the Kaimana award: athletic achievement, academic performance, community service, healthy activities, and sportsmanship. There is a maximum of 100 points for each category, and each school in Hawaiʻi’s five interscholastic leagues is graded in each category. 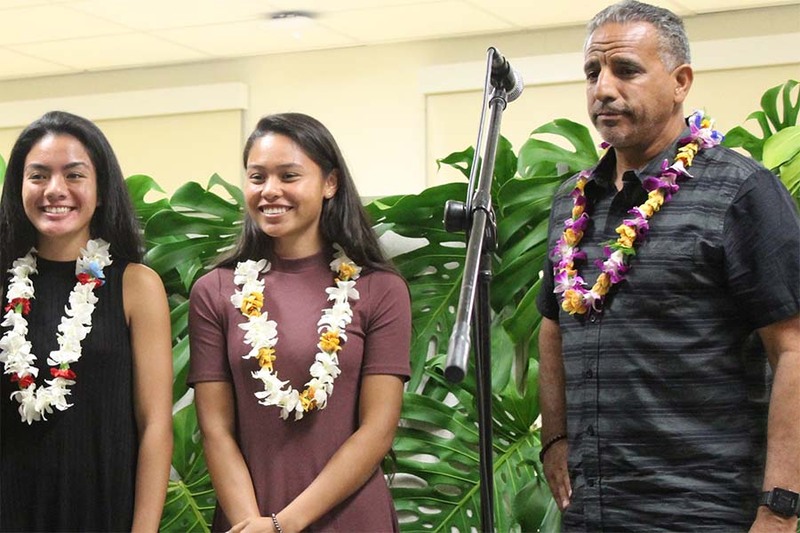 “The Kaimana award is a big deal between the athletic directors because it shows how each school’s athletics are comprised and how the student-athletes strive to be hardworking while balancing schoolwork and practices at the same time,” Coach Viela said. 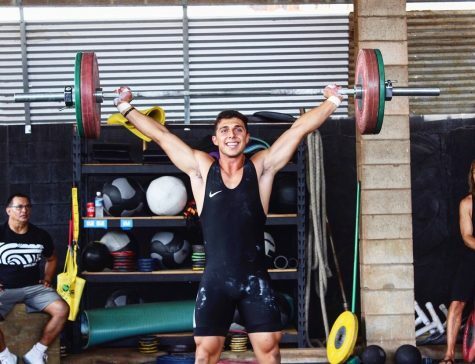 After announcing the awards for the school, a coach from each sports team awarded their outstanding athletes with a certificate and shared their athletic achievements. One of the athletes, sophomore Kayleen Lau, was recognized by her tennis coach for an amazing season. “On the court, [Lau] is very tough, focused, and intense but she loves to socialize and befriend many of her opponents,” head tennis coach Kathy Kanemitsu said. The night ended with a mahalo from Coach Viela to all the coaches, student-athletes, athletic faculty, and families who support the athletes in their commitment to sports at the school. Junior Analis Nitta and sophomore Keely Logan are called up by the track & field head coach, Coach Ruby Huber, to receive their certificates.